Recently, science blogging’s clear leader, ScienceBlogs, with up to 1.2 million unique monthly visitors (estimate, April, Compete.com) lost several top science bloggers due to their initial decision to allow Pepsico, Inc. to host a blog called Food Frontiers on the site (it has since been taken off the site). Although the blog was intended to showcase real Pepsico scientists, several of the bloggers felt the decision to be disingenuous, perhaps due to its ‘corporate speak’ feel and ties between soda drinks and bad health. While it is unfortunate that so many bloggers left, there are important lessons that can be learned by life science companies, who also need to determine how best to leverage social media to realize business objectives. Transparency is not enough. Much has been written about PepsiGate, I will not get go into detail here, but great reviews can be found by searching Delicious for the PepsiGate or sbfail tags. Basically, ScienceBlogs founders made the assumption that a blog about food from Pepsico, if clearly defined as such, would be acceptable on the site, which had built a reputation of scientific integrity through content from world class bloggers. Our STIR Social Media system describes why this is assumption is in error by defining four qualities which a successful scientific social media campaign must have: Sticky, Transparent, Intuitive, and Resonating. 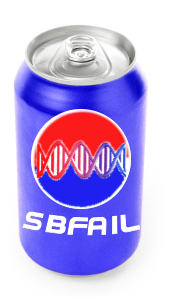 The theme of the Food Frontiers blog, Pepsi-backed information about nutritional science, did not fulfill the last quality, it did not resonate with the science bloggers. A corollary to this fact is that it likely would not have rung true with ScienceBlogs readers. Finding a theme that resonates with life scientists is very important, which is why we do in-depth surveys of them for most of the social media campaigns we launch. Think strategically, not tactically. We have some great life science company examples we point to during our social media workshops and training. However, we also see a tendency towards thinking tactically, a ‘if we build it they will come’ mentality. In other words, we see marketers that think that by using their brand’s influence they’ll build a successful blog, Facebook page, etc., relying on tactics rather than strategies. By using social media, you will be expecting more from your customers, you will need to motivate them to interact, so you need to understand them better. One of my sayings is ‘There’s a thin line between a successful social media campaign and a pyramid scheme.’ This means that you need to understand what motivates everyone in the campaign, and leverage these needs wisely, otherwise it could all fall like a house of cards. In the case of ScienceBlogs, the bloggers were motivated to write for the blog because it helped them to establish scientific integrity. By seemingly compromising that integrity with the Pepsico blog, the bloggers saw their own scientific integrity being compromised. A strong strategy, and perhaps creating and adhering to a mission statement, would have prevented the ScienceBlogs incident, as they would have realized having a corporate blog on the site would not help them to meet their goals. ScienceBlogs gets many things right. Read science communication and blogging thought leader Bora Zivcovik’s ‘farewell to ScienceBlogs’ post which also covers the history of the organization and their amazing reach and influence. From international legal action in Libya, to education of the U.S. Senate, to stellar Google search rankings and coverage by mainstream media outlets, ScienceBlogs is by many accounts a huge success. The creators, Seed Media, a NYC-based media and technology company dedicated to advancing science, and publisher of Seed Magazine, a ‘not-your-father’s’ version of Scientific American, clearly understood the infrastructure and marketing needed for success. Unfortunately, when PepsiGate broke, it was this widespread coverage, and the fact that each blogger could speak freely, that made the story’s coverage reach epic proportions. However, the site is the first of its kind and changed scientific communication as we know it, and hopefully they’ll learn from PepsiGate and come out stronger. Their model and progress should continue to be watched by life science companies. To know, you must do. I was approached about six months ago by Seed Media to blog for an endeavor called ScienceWide which would sell advertising space on smaller science-based sites. I don’t want to get into too many details, but some aspects of their model bothered me, and I didn’t agree to provide novel content for them (but gave them suggestions and free rein to link to my content). I had similar feelings when dealing with San Diego’s now defunct blog-style news website SDNN.com, that they just didn’t ‘get’ some of the innuendos of social media that are crucial for success. As we point out in our workshops and training, a big part of understanding social media is to do it yourself–it can be a personal effort such as a twitter account you keep based on one of your hobbies. I do not know of any of the Seed Media management on Twitter, blogs etc. (I may be wrong) and perhaps if they had been more involved in the life science social media scene they’d have foreseen PepsiGate. I had this ‘aha’ about two years ago as an outsider, and have worked hard to provide value to the life science social media community, gaining much from them in the process as well. I encourage all of the life science marketers to do the same, and think that they will benefit as I do. Although PepsiGate was unfortunate, it is a great example to learn from, both the good and the bad. What I find truly inspiring is that I see several of the incredibly smart science bloggers have gained enormous influence from the experience and will apply what they’ve learned about media and marketing to endeavors of their own. Science journalist Carl Zimmer has created a list of former ScienceBlogs bloggers whereabouts, so you can keep up with them. Also, while ScienceBlogs may have stumbled, the fact that they’re already established means that they’ll likely be far ahead of new endeavors for some time. Keep that in mind for your company’s strategy…as Ries & Trout’s first law of marketing states, it’s better to be first than it is to be better!